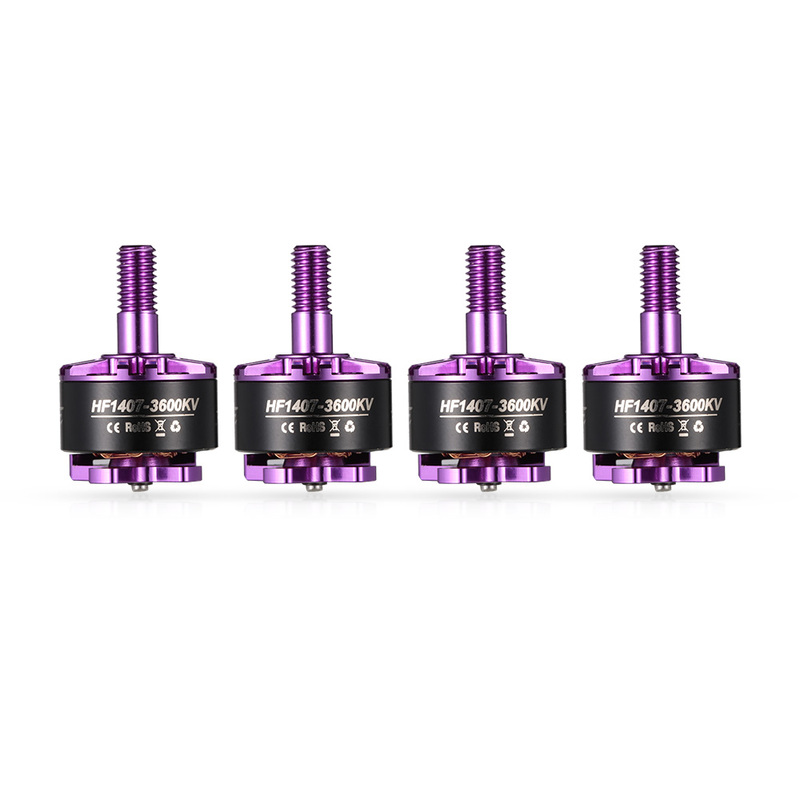 The HGLRC Flame HF1407 3600KV brushless motors are designed for mini racing drone. 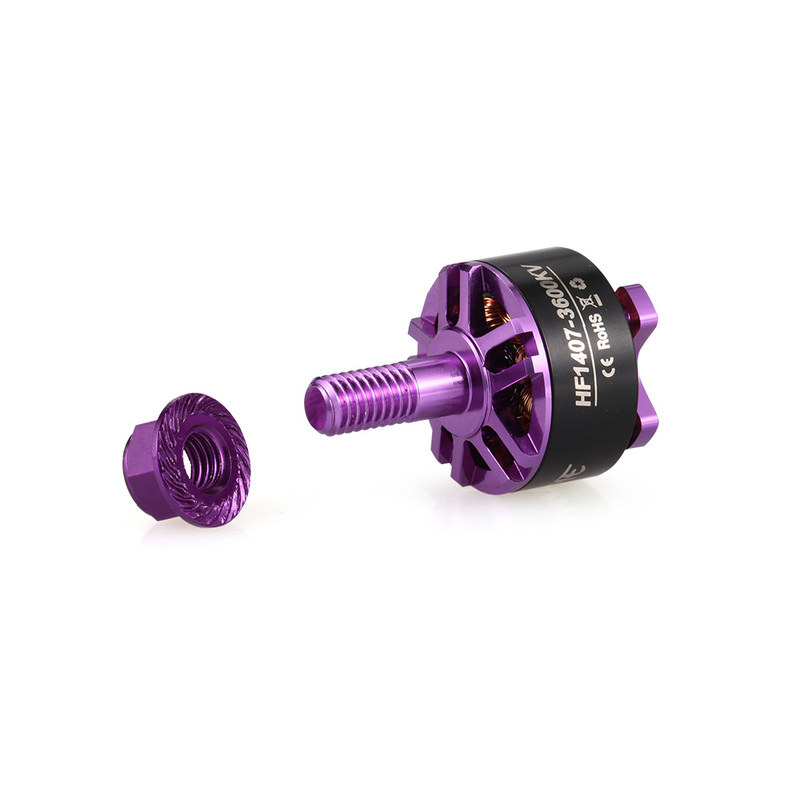 They are built from high quality aluminum alloy which is produced from the latest CNC milling machines. 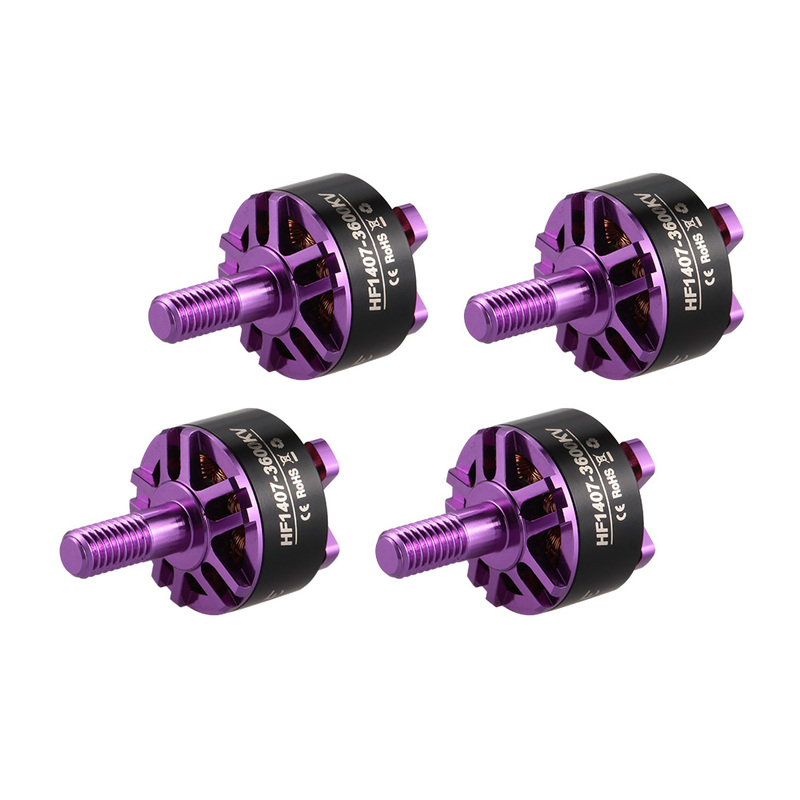 The motors support 3-4S lipo battery and could rotate fast with high power. 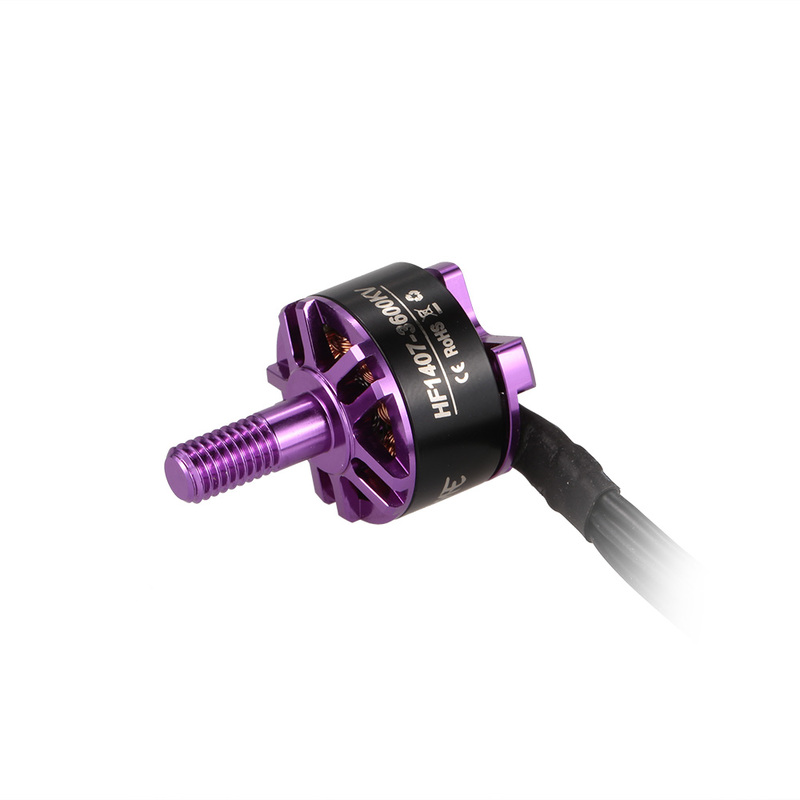 HF1407 3600KV brushless motor is the specially designed for tiny whoop brushless version. 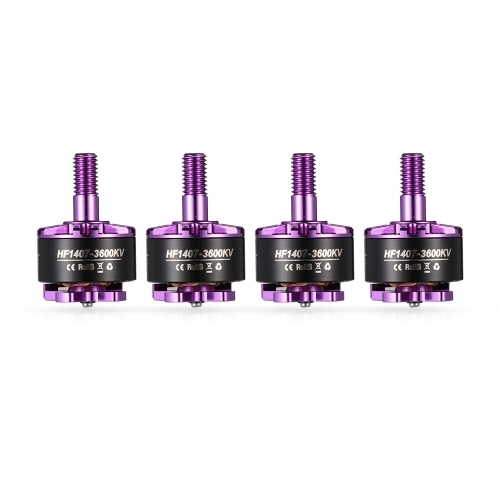 Suit for mini RC FPV racing drone. 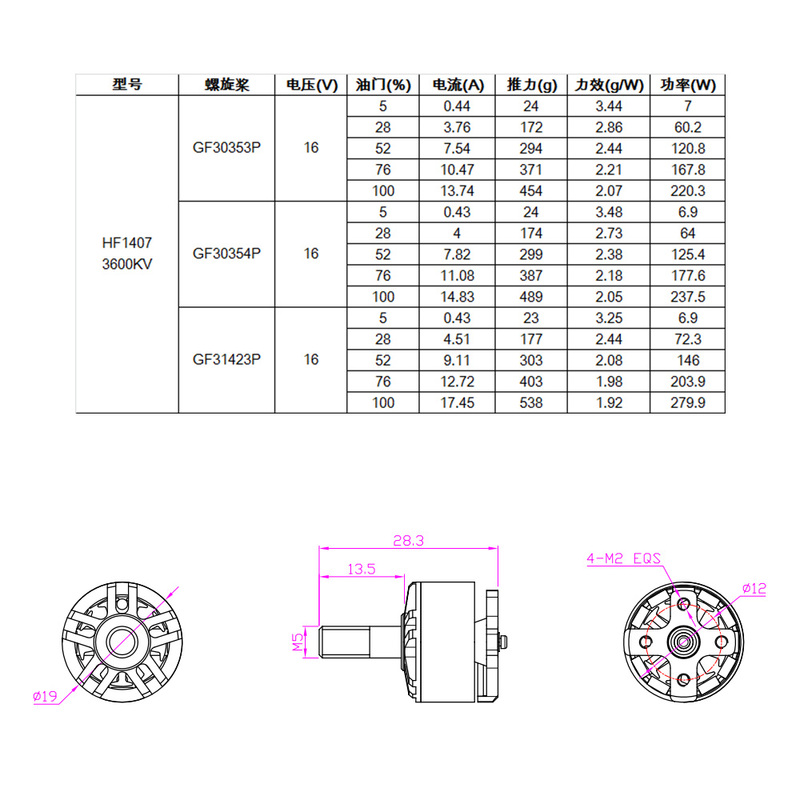 Height: 28.3mm, width: 19mm, shaft diameter: 5mm.